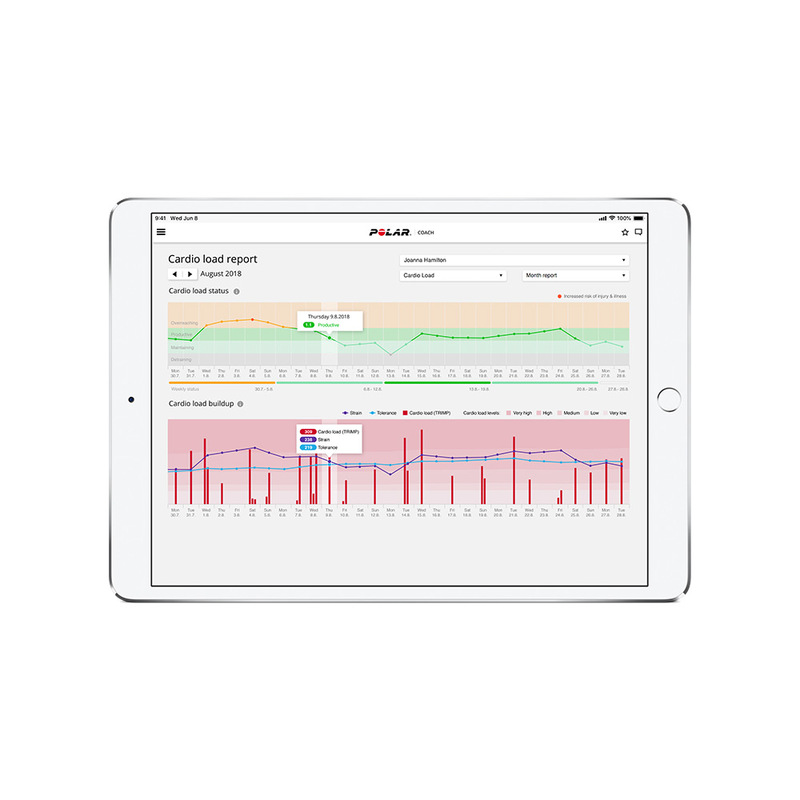 With Polar's free remote coaching platform you get easy access to your client's training data. Create tailored annual training plans, plan individual training sessions and use the powerful analytics to set and reach goals together. Your athlete’s Polar product works seamlessly with Polar Flow for Coach and guides the athlete through every training session based on your instructions. You set the goals with your client. We help you get there. The best way to achieve a goal is to have a specific, measurable and actionable plan. 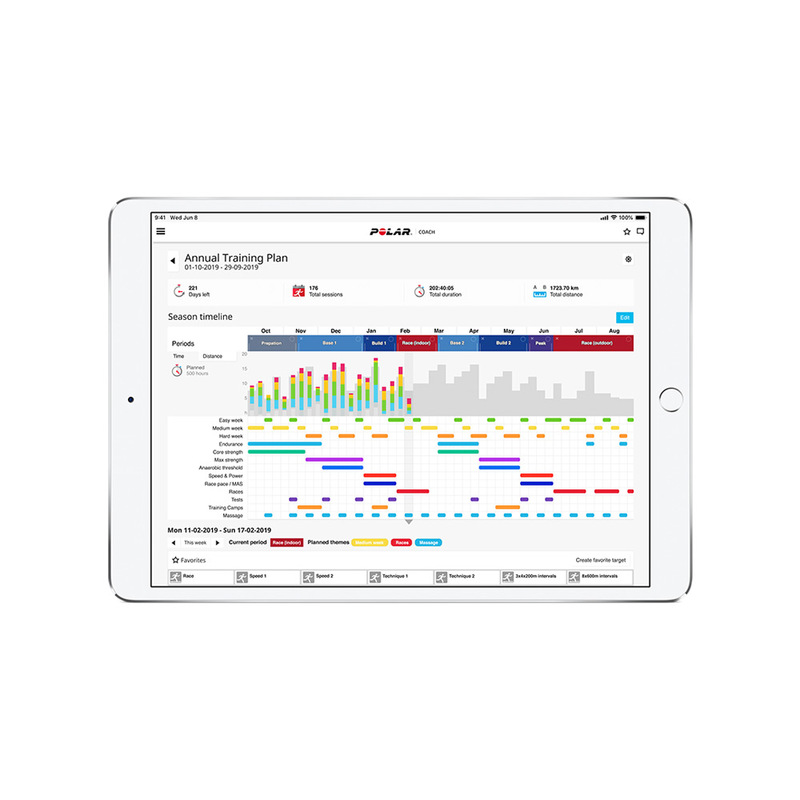 With Polar Flow for Coach, you can plan every detail of your athlete’s training from full season plans to individual workouts. With Polar Flow’s Season Planner you can create a tailored annual training plan and coach your athlete to success. Plan all the phases of each individual training session, including a warm-up and a cool-down. Every training session you plan is automatically synced to your athlete’s Polar product. The Polar product will guide the athlete through each training session to make sure everything goes as planned. The latest wearable tech innovations make sure Polar sports watches and fitness trackers together with Polar Flow for Coach will give you all the accurate data you need to maximize your athlete’s performance. When we say science, we really mean it. When you choose to coach with Polar you can be sure to get scientifically validated, accurate and evidence-based data - so you and your client can achieve more. When you choose Polar Flow for Coach, you get easy access to your client's training diary and workout stats alongside a great set of tools to give feedback and analyze your client's progress. 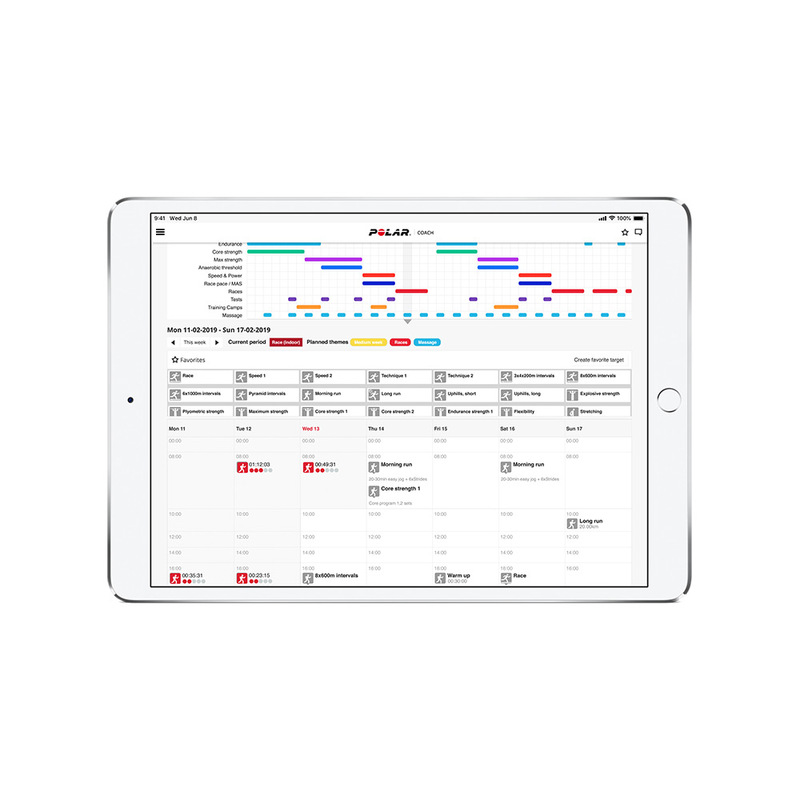 Polar Flow’s Season Planner is a powerful tool for creating a tailored annual training plan for your athlete. No matter what your athlete’s goal is, you can create a comprehensive plan to help them reach it. Periodize your clients training and set weekly training volumes. Add main targets for the season, such as competitions or races, and plan training focus areas with colored themes on a weekly level. You can easily create individual training sessions, training targets, for different sports and save them as favorites to create your personal training target bank. You can create different types of training targets; split the training session into intervals and define the length of warm-up and cool-down periods with Phased Targets or set a simple target duration or distance with Quick Targets. Training targets make training program planning easy and convenient – just drag and drop a target from favorites to your athlete’s plan. Each training session will be synced to your athlete’s Polar product. The Polar product will guide the athlete through every session. Follow your clients planned versus realized training sessions and seasonal volumes on a granular level with the extensive set of stats such as season totals, weekly heart rate zone distribution and many more. You can also adjust the on-going season or create an entirely new training program. With Polar Flow for Coach and the Polar ecosystem, you’ll get a holistic view of your athlete’s performance. You'll get access to all the accurate data you need to maximize your athlete's performance. The training diary gives you a quick overview of your athlete’s training, and the extensive training analysis tools help you get to the core of their performance. When combined with sleep and daily activity data and Polar Smart Coaching features such as Training Load Pro, you’ll be able to see if your pushing too hard. Polar Flow for Coach also takes into account your athlete’s own experience: your athlete can also add notes, comments and a subjective evaluation of each training session. 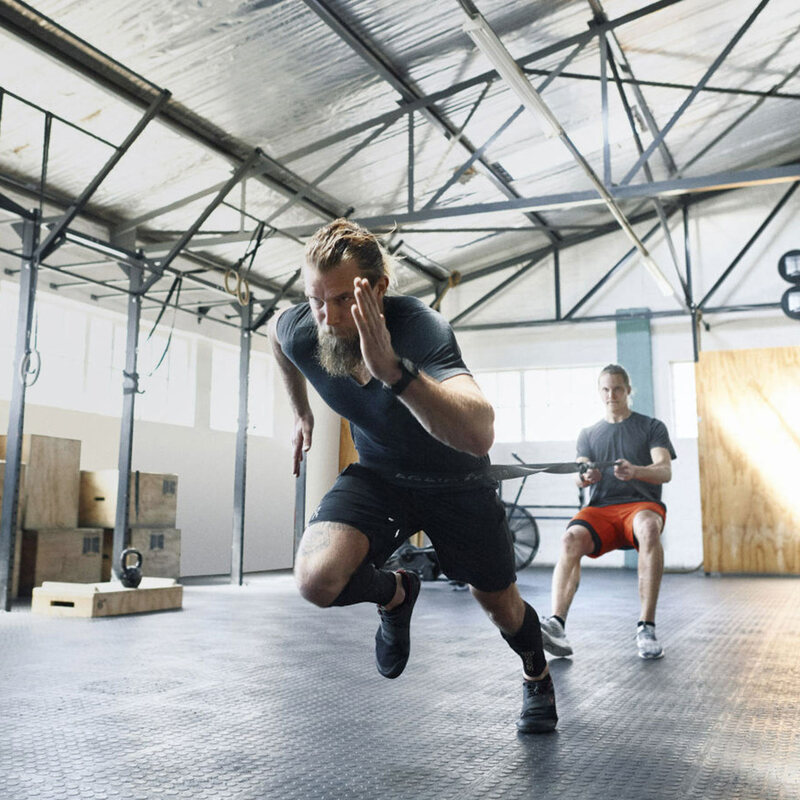 Combining these subjective evaluations with the extensive data set from your athlete's Polar product, you can create a truly holistic view of your athletes training. Polar Flow for Coach’s extensive training reports will help you understand how your hard work is paying off. Use the reports when planning the next season and take your athlete’s training to the next level.